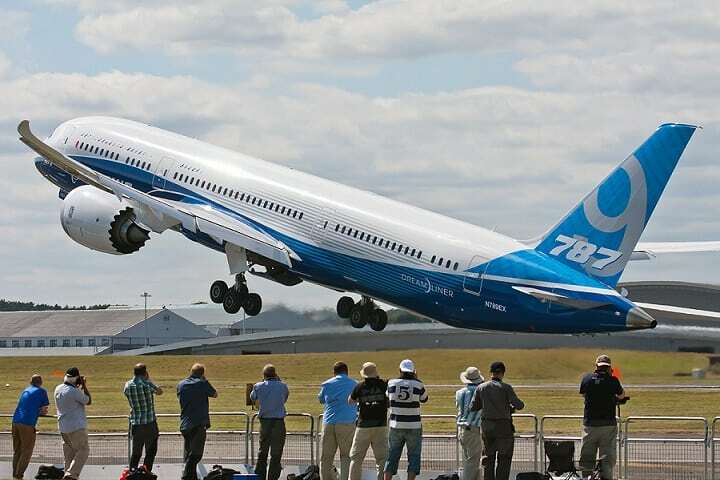 Boeing Company announced that it will present the company’s products and services that will define the “Future of Aerospace” at the 2018 Farnborough International Airshow, which takes place July 16-22 in Britain. “From hypersonic travel to the future of autonomous flight to manned space flight, Boeing will visually present the innovations that will revolutionize the way humans travel around the world and into space,” said the U.S. top plane manufacturer. It said its 737 MAX 7, which will enter service by 2019, will make the air show debut with flying displays from July 16-19. The aircraft touts its new technology advancements, which allow it to fly about 1,852 kilometers farther with more passengers than its predecessor, the 737-100. Static displays will include Air Italy’s 737 MAX 8, Royal Air Maroc’s 767 Boeing Converted Freighter, Qatar Airways’ 777-300ER and CargoLogicAir and the Qatar flag carrier’s 747-8 Freighters. Boeing will present interactive exhibition of its latest family of aircraft and services, which will allow visitors to immerse themselves in a large 360-degree theater and board next-generation aircraft through virtual and mixed reality devices. It will also display some defense products ranging from helicopters like AH-64 Apache and CH-47 Chinook, F-15E Strike Eagle jets, to C-17 Globemaster military transport aircraft. Boeing’s CEO and President Dennis Muilenburg will attend the event together with Leanne Caret, CEO and president of Boeing defense, space and security business. “We are excited to highlight these future technologies as well as our core product offerings with a unique new exhibit that will be open throughout the show,” Dennis said. The Boeing Company is an American multinational corporation that designs, manufactures, and sells airplanes, rotorcraft, rockets, satellites, and missiles worldwide. The company also provides leasing and product support services. Boeing is among the largest global aircraft manufacturers; it is the second-largest defense contractor in the world based on 2015 revenue, and is the largest exporter in the United States by dollar value. Boeing stock is a component of the Dow Jones Industrial Average. The original Boeing was founded by William Boeing on July 15, 1916. The current Boeing is the result of merger of the original Boeing with McDonnell Douglas in August 1997.